There are lots of items in the world with The Pogues' name on them. This page will try to point you at reputable dealers for many of the offical merchandise from the band. This page will also try to point you to current links for merchandise at the Amazon web store. These links contain an affiliate code. When you purchase using these links a portion of your purchase will go ongoing expenses involved in keeping Medusa running. 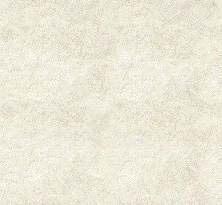 The affiliate links will be bold-italic to allow you to easily distinguish them from the non-affiliate links. 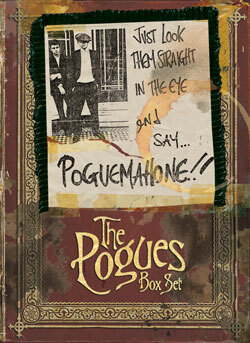 The Pogues have opened the top secret hidden vaults holding the substantial archive of their recordings. The result? A five-disc box set titled "Just Look Them Straight in the Eye And Say... POGUEMAHONE!!" The compilation includes rarities, radio sessions, demos, movie music and live recordings. Included are the legendary Murder, Donegal Express, Danny Boy, Travelling People, Fairytale of New York demos, collaborations, and much more. The complete track list with all 109 tracks, all five discs is here. Who doesn't love the convenience of digital files? Especially non-DRM encumbered high quality files that play on any device that understands the MP3 format? Yeah, everyone wants that kind of tasty goodness. 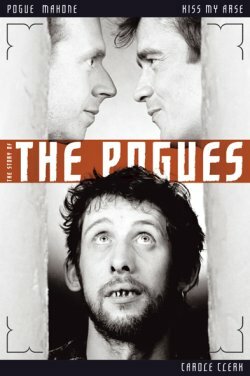 In 2006 Rhino Records reissued all seven of The Pogues' full length albums in the UK. All seven albums were fully remastered by The Pogues' own Philip Chevron and contain additional tracks (as many as seven in some cases). In North America the first five remastered albums were also reissued. T-Shirts, hoodies, key-chains, beer mugs, and more! Cinderblock and Sandbag are the two companies that have handled The Pogues' merchandise during most of their live shows since 2006 (and perhaps earlier). They've made quite a lot of that merchandise available on their web sites. Their merchandise is also available on various Amazon stores. Links!